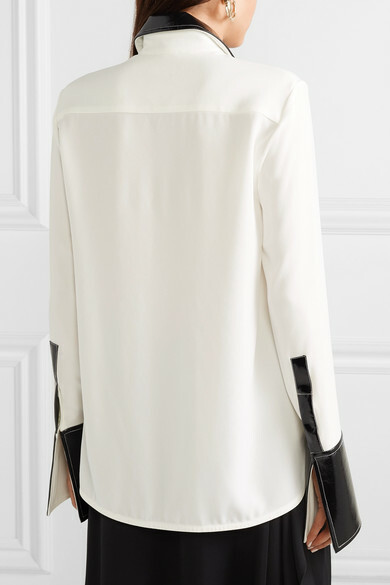 Kym Ellery says she likes to fill her collections with pieces that look complicated but are actually really easy to wear. 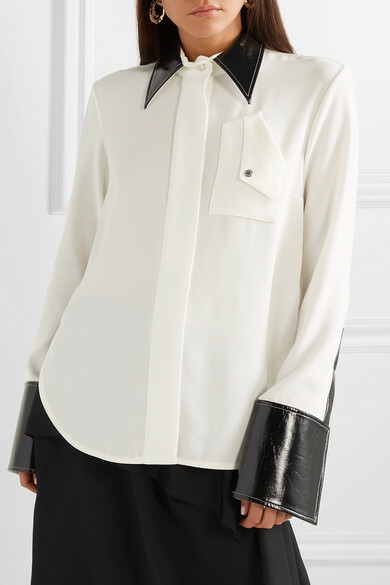 Cut for an oversized fit, this 'Thesis' shirt has a black faux patent-leather collar and cuffs. 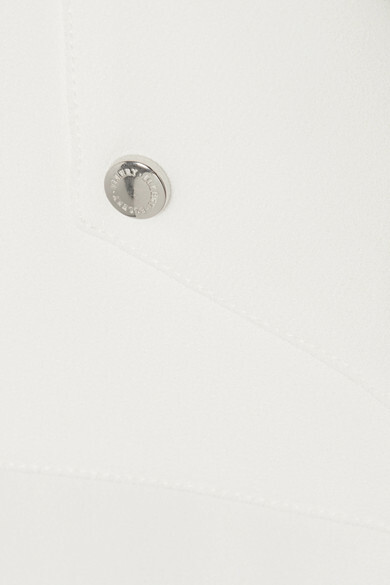 It's got an angled front pocket and curved hem. 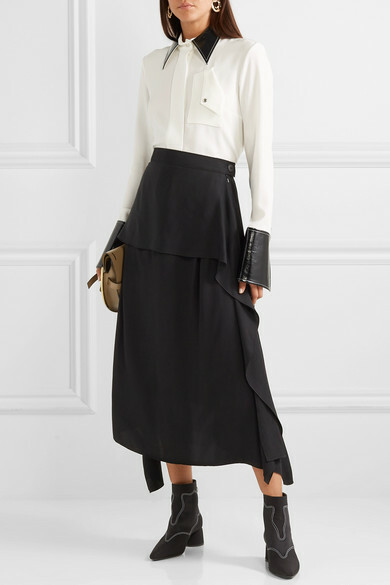 Shown here with: JW Anderson Skirt, Loewe Shoulder bag, Ellery Ankle boots, Ellery Earrings.